Former Celtic managerJock Stein once remarked how football is nothing without fans. In times of money-spinning commercial interests and sponsorship deals, though, supporters are often left feeling increasingly distant from their clubs. 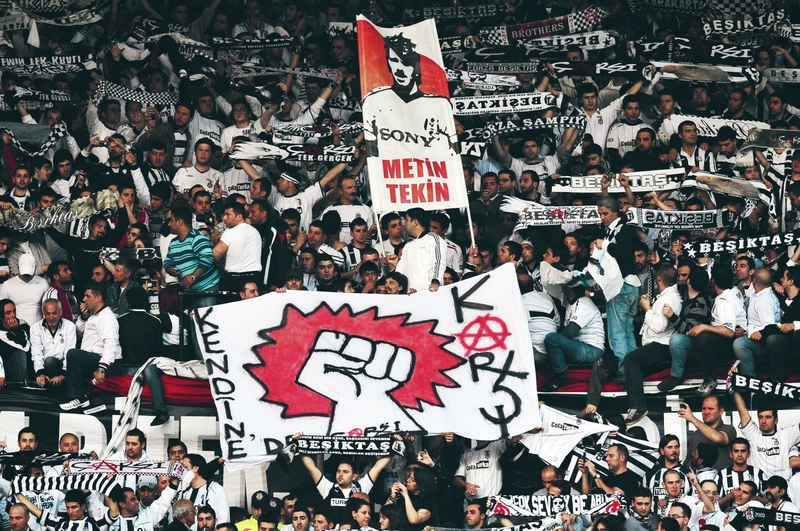 One place where you would not think this principle is under threat is Turkey, a nation famed the world over for its passionate fans and fierce rivalries. None of this, however, applies to Istanbul Başakşehir, a government-backed entity with few fans who are threatening the established order. This is not the first time a club from within has challenged the establishment of Istanbul. In the 1990s, Cem Uzan’s bankrolling of İstanbulspor briefly saw that side become a competitive force, although upon withdrawal of funding in 2001, the team virtually collapsed. Başakşehir are different, though, with an administrative model in place that has questionably close ties to President Recep Tayyip Erdoğan and looks set to persist so long as he remains in power. The club was founded in 1990 on the initiative of Nurettin Sözen, the mayor of Istanbul, who decided to merge three municipally owned sides into a single organisation called İstanbul Büyükşehir Belediyespor (Sport Club of the Istanbul Metropolitan Municipality). The new entity took the league place of ISKI Derneği, the club of the water board, and were entered into the fourth division. Winning promotion to the 3. Lig in their first season, they went on to gain another promotion in 1993, although were relegated in 1995 before returning to the 2. Lig in 1997. The following season ended in heartbreak with an 86th-minute winner for Sakaryaspor in the playoff final denying İBB a place in the Süper Lig. The success of that season would fail to be emulated for the best part of a decade, and after narrowly missing out on the playoffs in 2006, the top flight was finally reached in 2007. Instrumental to this was the appointment of Tukey under-17 boss Abdullah Avcı, who, fresh from reaching the semis of the Under-17 World Cup, steered İBB to second-place behind Hacettepe. The speed of this rise, however, had unwanted consequences. Situated in the hotbed of Turkish football that is Istanbul, İBB have struggled to attract fans, with promotion doing little to change that. Throughout their time in the Süper Lig they have failed to achieve attendances above 2,000. With away fans and club officials removed, this sometimes equated to as few as 20 spectators. Despite this, the club made the seemingly bizarre move prior to their maiden top-flight campaign to the 76,000-seater Atatürk Olympic Stadium. This decision, resulting from their municipal ties, is emblematic of the club’s 28-year existence. There are other clubs in Turkey tied to local governments, however the difference with İBB comes from their location. Based in Turkey’s biggest city, as a government organisation, the responsibility for maintaining the club fell on the 10 million taxpayers of Istanbul. It is these connections that allowed the club to play in the Atatürk Stadium for seven seasons despite filling less than five percent of seats, and correspondingly made İBB Turkey’s most hated club. A 12th-place finish in their first season was followed by a gradual rise up the table to a peak of sixth in 2010 and 2012. Meanwhile, in 2011, İBB went all the way to the final of the Türkiye Kupası, losing 4-3 on penalties to Beşiktaş after a 2-2 draw in normal time. Despite the lack of fans, landmark signings such as Okan Buruk, Pierre Webó and Samuel Holmén made it seem as if the club were growing. However, with Avcı leaving in October 2011 for the national hot seat, a surprise relegation in 2013, and under growing public pressure to close down, it seemed as if the threat was gone. On the campaign trail for the 2014 Istanbul mayoral elections, Republican candidate Mustafa Sarigül announced at a rally in Sultangazi, “If elected mayor, I will close İstanbul Büyükşehir Belediyesi.” This policy was welcomed, with their unpopular structure leading many to conclude the club was simply a waste of money. Despite losing to Kadir Topbaş, the new mayor agreed with Sarigül that the club should be disbanded. However, this did not sit well with the TFF, owing to the fact İBB won the 1. Lig and that their disillusion would have left a vacant space in the upcoming Süper Lig season. A compromise was reached in June 2014 when the club were moved to a new district and renamed Istanbul Başakşehir. Ownership was transferred from the Istanbul municipality to the Ministry of Youth and Sports, while there was also an end to the Olympic Stadium farce. The club relocated some seven kilometres north-east to the brand new 17,000-seater Fatih Terim Stadium intended for İBB. Unfortunately, if anything this move served to increase animosity towards the club even more. The Başakşehir district the club is now based in is a modern satellite town some 30km from the city centre. It was built in the 1990s during President Erdoğan’s time as mayor, enjoying enormous economic growth during his spell as prime minister, and, as a result, is heavily populated by AKP supporters. With such an influence on the history of this area, it comes as no surprise that Erdoğan is involved with Başakşehir FK. President Göksel Gümüşdağ and club captain Emre Bëlozoğlu are both AKP members, with Gümüşdağ married to a niece of Erdoğan’s wife. The murkiness only escalates when you realise that after Erdoğan played in the new stadium’s opening match, the club retired the number 12 shirt in his honour. Meanwhile, the district is the centre of 3. Istanbul, a grand project that constructed a third intercontinental bridge. Initially the club could be applauded for their smart recruitment, with the likes of Alexandru Epureanu, Edin Višća, Mahmut Tekdemir and Volkan Babacan still regulars today. Avcı was brought back on board as coach, rejecting approaches from Bursaspor and Kayserispor to return home on a five-year contract, a length rarely seen in Turkey. However, in recent times several big-name signings have led to questions over the long-term visions the club directors so profusely proclaim. In their debut season under the new name, Başakşehir surprised everyone, smashing Galatasaray 4-0 in October before drawing with Fenerbahçe in the penultimate game of the season to hand Gala the title. Their fourth-place finish brought European qualification for the first time in the club’s history, and despite losing 4-1 over two legs to AZ Alkmaar in the playoffs, Başakşehir’s stock was rising. After the signing of Emre on a free in the summer of 2015 and another fourth-place finish, further reinforcements came in 2016 through the likes of Emmanuel Adebayor and Junior Caiçara. A 17-game unbeaten run meant by the midway point of the season, Başakşehir sat top of the league. Unfortunately, a 1-0 loss at Fenerbahçe in late January deposed them, and despite another 4-0 triumph over Galatasaray in April, the club were unable to catch defending champions Beşiktaş. This run-in also featured questionable links to the TFF, with first-choice goalkeeper Volkan Babacan avoiding a lengthy suspension for attacking a journalist after a match with Rizespor. Instead of the usual 10-match ban, he only missed one game, allowing him to take part in a potentially title-defining win over Beşiktaş that reduced the gap at the top to just two points with four games left. Whilst Beşiktaş recovered to regain the title, Başakşehir did manage to squeeze past Fenerbahçe on penalties to reach the Kupası final. Starting out as favourites, they were beaten on penalties yet again by Konyaspor after a goalless 120 minutes. Regardless, Başakşehir finished in a club record second place, being presented with their first opportunity to taste Champions League football. After overcoming Club Brugge in the qualifiers, a match at which Erdoğan was present, they narrowly lost out 4-3 to Sevilla in final playoff round. This did, however, ensure passage into the Europa League group stage for the first time, although in a tough draw with Braga, Hoffenheim and Ludogorets, they were unable to progress. One could argue this was a distraction, though, with Başakşehir instead focusing on becoming established in Turkey first. A big part of the project now is attempting to make the 300,000 or so inhabitants of Başakşehir connect to the club, but attendances still rank around the 3,000 mark. There is, however, a longer-term vision at the core, with Başakşehir arguably one of the most professionally run clubs in Turkey. Significant focus is being placed on youth development, with a facility now ranked amongst the best in the land, and a scouting system that has helped identify the likes of Višća and Cengiz Ünder, who is now making waves at Roma after a £15 million summer move. Despite the disappointment of last season, it has come as no surprise to see Başakşehir challenging for the title once again. 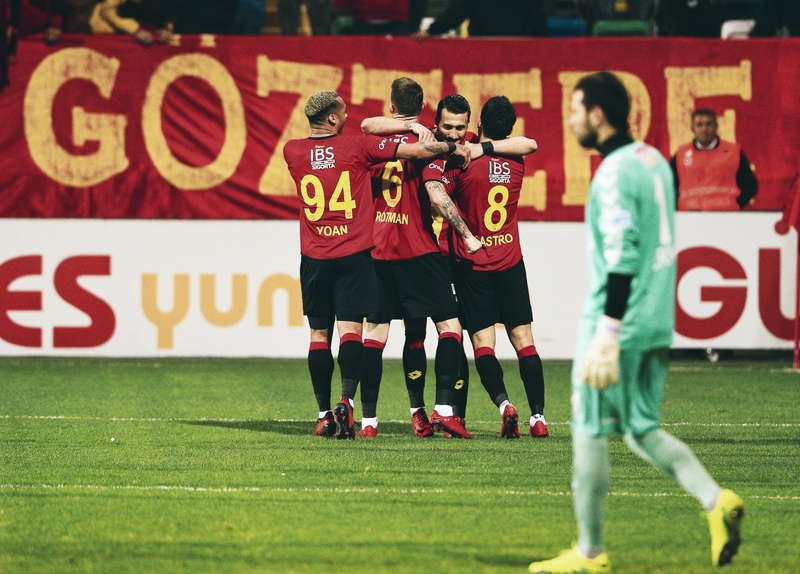 After a strong start for Igor Tudor quickly turned sour at Galatasaray, including a 5-1 loss to Başakşehir courtesy of an Adebayor hat-trick, they were able to catch up and have remained near the top since. In terms of staying there, with just three points separating the top four, Başakşehir have as good a chance as any. Their squad is amongst the strongest in the division, featuring the Süper Lig’s leading assist provider in Višća, a revitalised Adebayor up front, and an evergreen Emre pulling the strings in midfield. The summer recruitment of big names such as Aurélien Chedjou, Eljero Elia, Gökhan Inler and Gaël Clichy has helped bring much needed top-level experience, with the crowning glory coming in January with the acquisition of Arda Turan. Arriving on an 18-month loan from Barcelona, the move is a testament to the rise Başakşehir have enjoyed over the past decade. Whilst it remains to be seen if his notoriously volatile personality will destabilise the dressing room, the sheer symbolism of signing Turkey’s most successful overseas player of the past decade is significant. He started with a goal off the bench in his debut at Bursaspor and seems to be buying into the philosophy of Avcı. With such a long-term vision, it is clear this is not another İstanbulspor. Whilst their ties to the government are certainly questionable, from an external perspective it is certainly interesting to have another competitor in the traditional three-way race for the title. Despite having few supporters, Başakşehir serve as a shining example of it being not what you know, but rather who.